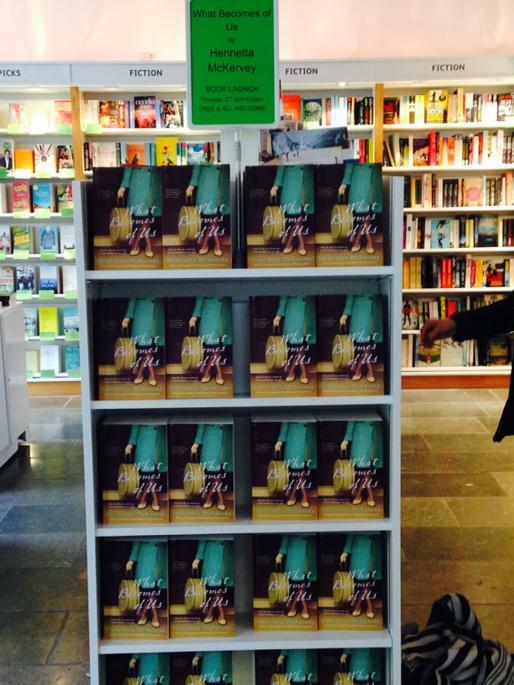 Co-ordinating book cover and outfit, anyone? What Becomes Of Us got its first airing in front of a very full house in the Gutter Bookshop in Temple Bar on Thursday April 2nd. 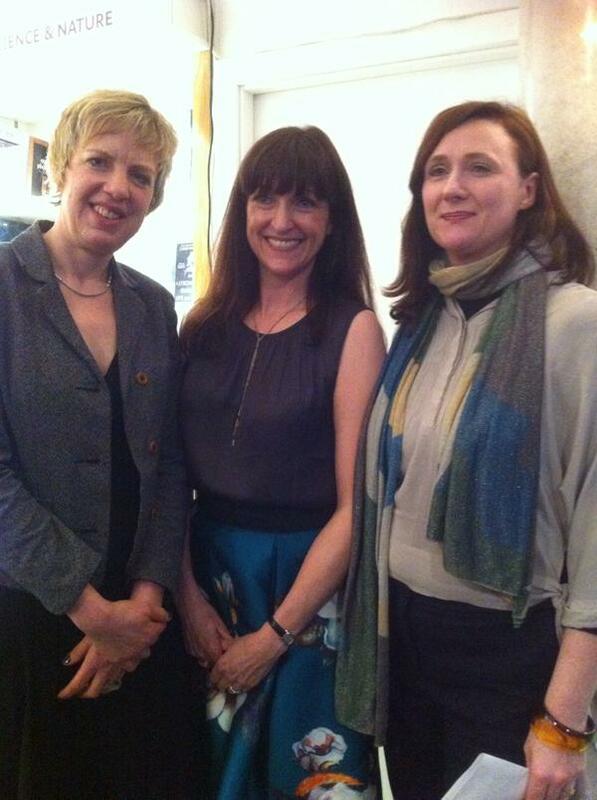 There was some top speechifying from Ivana Bacik and Ciara Considine, and a little bit of reading out loud by me. Many thanks to Bob at the Gutter for hosting such a great evening and to Ciara, Breda, Joanna and Susie from Hachette for all their work on the book’s behalf. It was reviewed by Louisa Cameron on Arena on RTE Radio 1 on April 1st (about 19 mins in on this link). 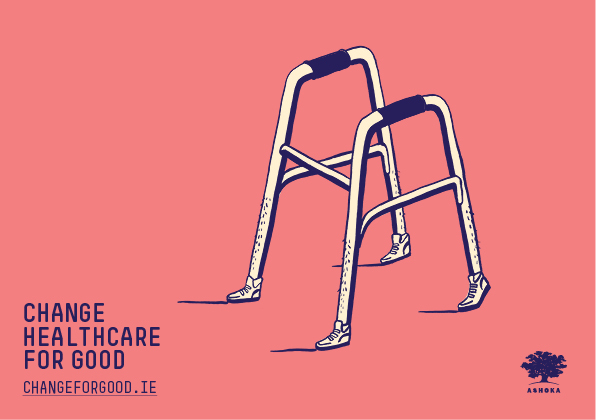 The ever-persuasive Bob Gray from Red & Grey design asked me to work with them and illustrator Barbara Hoffman on an advertising campaign to highlight the work of Ashoka, an organisation that I had to admit to him I didn’t know much about. (Bob soon changed all that). The end results are now on a billboard near you. 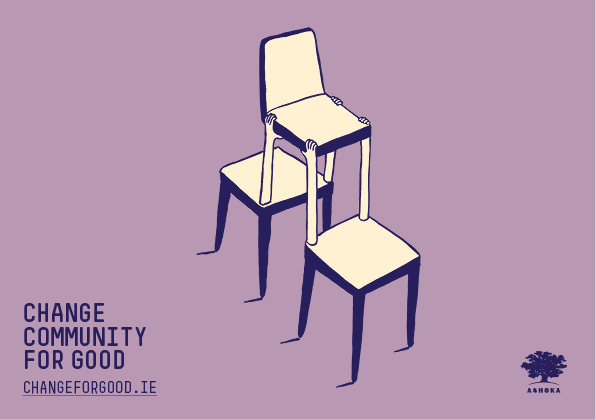 In Ireland we tell each other that everything is ‘grand’ over and over. But it’s not, and Ashoka is an organisation stuffed full of people who are determined to challenge ‘grand‘ and in doing so, make things better for everyone. 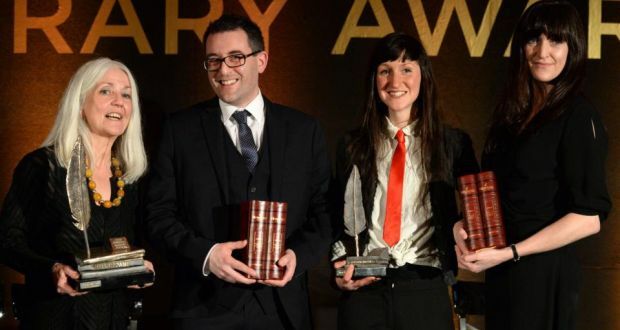 At the 44th Hennessy Literary Awards on February 24th, Sara Baume was named Hennessy New Irish Writer 2015, Paula Meehan was inducted to the Hennessy Literary Awards Hall of Fame, Simon Lewis won the emerging poetry award and I won the first Fiction Prize. (Woo hoo). Books featuring drinking, yes; I’ve seen plenty of them. (Raymond Carver is the obvious choice I guess; David Lodge also writes fantastic drinking scenes in The British Museum is Falling Down). But a book that actually is a drink – that was new to me. And as you can tell from the pho to – Margaret Halton of United Agents is on my right – I’m very happy with my lot. As well as the personalised, book-bound bottles of cognac we received, Hennessy also put up a generous prize fund. 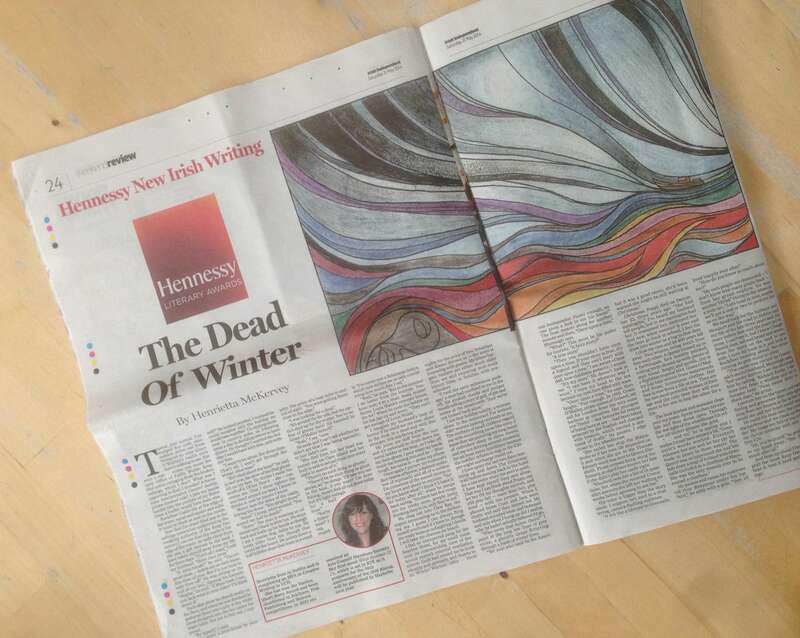 A big thanks to Hennessy, to Ciaran Carty, Martina Devlin and Xiaolu Guo. I got the jam and then some. The group photo is from the Irish Times website. So I linked on over to 26 and found a creative community united by a love of words and a determination to make words work and live harder. What’s not to like? 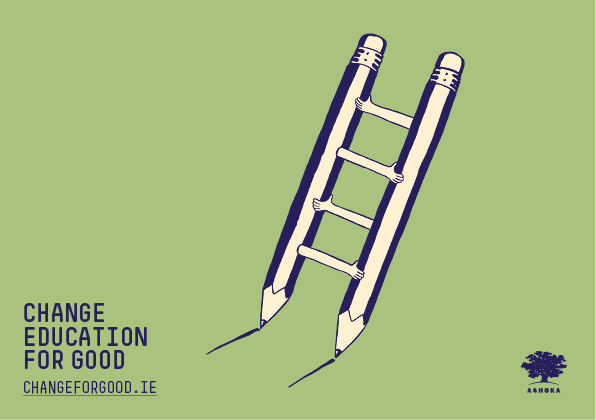 It’s a busy, friendly not-for-profit, run for and by its members. In 2014 I signed up for two projects: 26 Atlantic Crossings and 26 Designs. 26 Atlantic Crossings was a collaborative exhibition between 26 visual artists from Prince Edward County in Ontario, Canada, and 26 writers from Ireland and the UK, who ‘gave voice’ to a piece of their artwork in the form of a sestude. (It was new to me too: John Simmons’ invention, a sestude is a piece of writing with exactly 62 words, i.e. 26 in reflection). The this-side-of-the-Atlantic bit was organised by John and Faye Sharpe. My editor was Tom Collins. I was paired with artist David Boorne, who lives with his wife on a farm in Prince Edward County, 300k in from Toronto. The farmhouse dates from the 1880’s, which as Dave said himself, is an old house by Canadian standards. His artwork was a sculptural series of frames, itself forming one long framed piece. I loved the idea of the frame being the content itself, and I wrote a piece about the imaginary pictures that may once have inhabited each. One of the many things I enjoy about 26 projects is that they are encouraged to develop and turn and find their own forms. 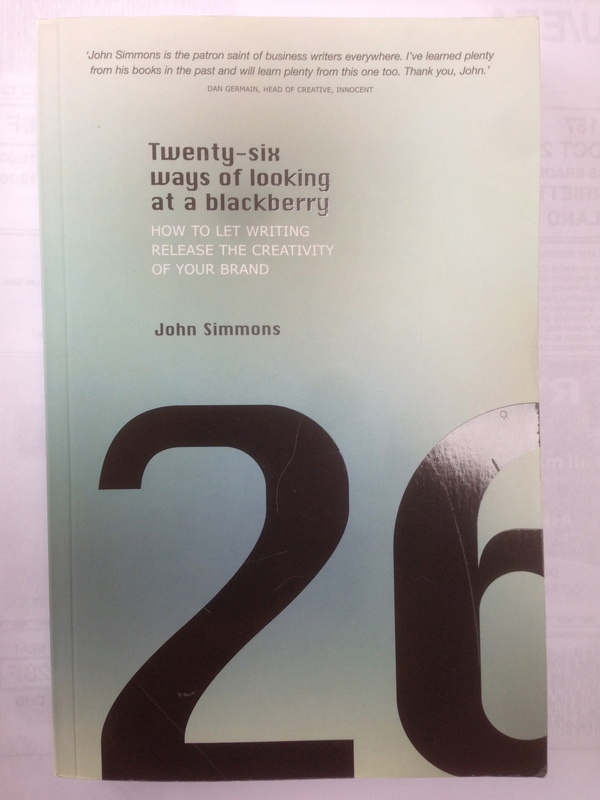 26 Atlantic Crossings evolved into a book designed by Sophie Gordon. With 26 Designs – managed by Katie Treggiden & Ellie Parker, and my editor was Elena Bowes – six of us were paired with 26 new designers during London Design Festival, and asked to write 100 words in response to one of their designs. These pieces were illustrated and all featured in the new design magazine Fiera, edited by Katie. I was lucky enough to be pulled out of that hat with London-based designer and bone china specialist Richard Brendon, who will be exhibiting at the V&A Museum this year. I had come across him before in magazine features about his stunning Reflect series, which brings life back to antique saucers that have lost their other halves, by teaming them up with highly reflective cups. He launched his new Speck series during the London Design Festival. Every piece in this collection is decorated with a seemingly random array of dots. Hmm, I thought. I sat down to work on my response to Speck just after I came back from an overnight stay in the Fastnet Lighthouse. The tiny dots breaking up the clear white of the china reminded me of the beam of the Fastnet lamp, and the way it touches the sea, flaring to life for a moment before moving on. The beautiful illustration is by Assa Ariyoshi. I regret not putting my name forward for was 26 Ghosts, a ghost story writing project last year. At the time I convinced myself it was because I wouldn’t have something done in time, but really, I was afraid I wouldn’t come up with anything at all. Afraid of a ghost story? Tut Tut. That’s not the 26 way. I shall know better next time. 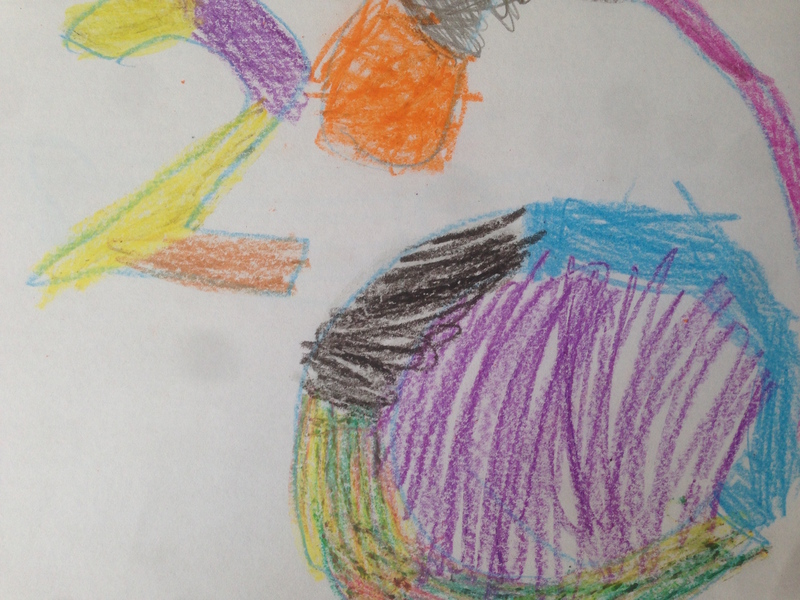 Thanks to Rosa aged five for the ’26’. 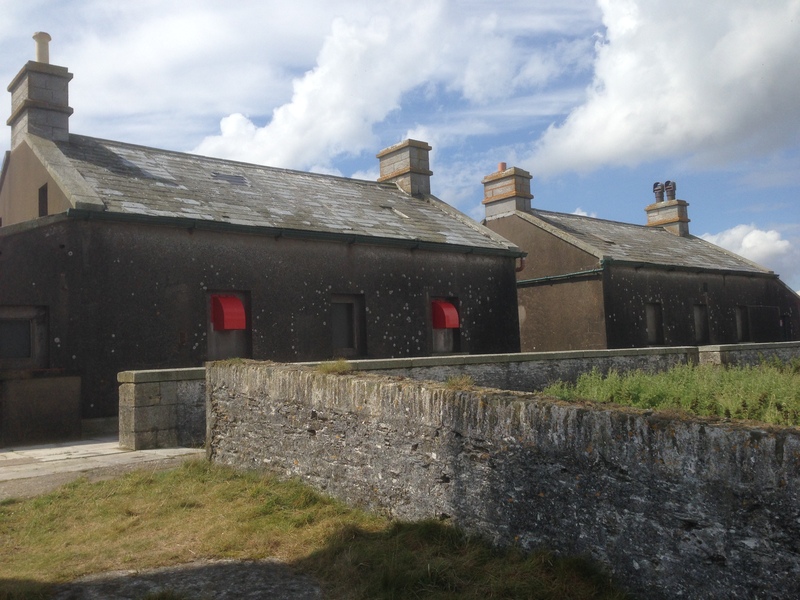 We’d say to one another, and we’d nod saying it, wasn’t herself the luckiest woman in Ballycotton? And though they had gone and painted the lighthouse black, and in our hearts we wondered was that the worst of luck, we would say what great fortune Enagh had, that she’d always know where her husband was, and what he was up to. He’d not be touching a drop out there neither, one of us would be bound to say, and Josie would let a wail out of her till whoever was nearest would grab her hand and go, ah don’t mind, your Tommy will come right yet. And Enagh would give us that thin smile of hers that isn’t a smile at all, only the thing she does with her face before she walks away. And back she would go to her house on the hill. We’ve heard it said the Commissioners above in Dublin send her and that little lad the best of everything. Coal, and wool. Schoolbooks. Soap even, so we’re told. And when winter falls and the days die without ever getting to grow into themselves, we would watch Enagh standing alone at the harbour, staring across the black water at the lighthouse sprouting strong as a weed over on the island. We’d watch her two lips touching each other as she waited for him to light the lamp. She would count to ten between each flash, the boy shivering beside her. Ah sure, don’t be worrying yourself Enagh, we would say. What man ever came to harm in a lighthouse? And black or not, we’d mean it too. Yes. We all wanted to be a keeper’s woman. The dead aren’t easy to find. You’d think they would be, what with death notices in newspapers, indexes of wills, and even the online census to hurtle us back in time as far as 1911 whenever we want. And yet, when I went hunting for a woman called Josephine Rowe, who died in 1945 (and even that piece of information was hard won), she proved surprisingly elusive. But the story doesn’t start in 1945 – how could it start where it supposedly ends? – so let’s go back further. 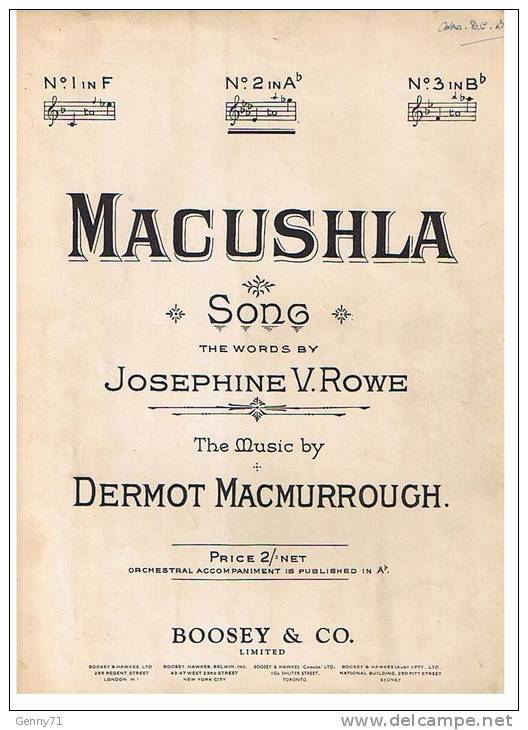 To 1910 maybe, because it was about then Josephine wrote a poem called Macushla – the literal translation is my pulse, but it’s used to mean my darling or sweetheart – which was set to music by a man called Dermot MacMurrough. It is a sentimental plea for love; a tale of longing and loss and despair. John McCormack, in one of his earliest outings for the Victor Label, recorded it in 1911. On this recording, he was accompanied by the Victor Orchestra and it was produced by the Victor Talking Machine Company. Someone sure understood what branding meant in that company. In this 1911 version you can hear his highest voice ever recorded, yet to my one-hundred-odd-years-later ears it sounds so forced: the high, brassy crackle of his voice over the repetitive fuzz and static of the disc itself reminds me of the train in the story The Little Engine That Could valiantly struggling, “I think I can I think I can” up the hill. John McCormack’s recording was to be the first of many. In 1933 Macushla was used in an American movie Paddy The Next Best Thing, and five years later, unlikely as it sounds, in the film Hawaii Calls. Fast-forward sixty years and Frank Patterson sings it in the film Michael Collins. Zip forward again and not only does Hilary Swank have Mo cuishle embroidered on her boxing silks in the movie Million Dollar Baby, but the crowd sings the song at various points during the film. More recently, Rufus Wainwright has given it a defiant heartbreak I never could discern in previous versions. You can find him on YouTube, dressed in well-worn lederhosen, singing Macushla in cities around the world. His mother, the late folk singer Kate McGarrigle forced him to learn it, he jokes. So what about its author? I became curious when I wrote What Becomes Of Us, a book set in 1965-1966. There is a scene in which a central character, a child called Anna, sings Macushla to herself, unintentionally imitating the speeded-up whine of the old record player it’s played on. Josephine Rowe was born in Carlow in 1861 or ’62, where her father had a jewellery and watchmaking business. A respected and popular man, when Matthew William Rowe died in 1899 the Leinster Express reported that, ‘his disposition won for him a large circle of friends, who deeply mourn his death. Mr Rowe had passed through many of the painful scenes which have occurred in Ireland, and his retentive mind could recall the sad scenes of the cholera and the famine years.’ The report doesn’t mention that he went bankrupt in the year his daughter was born. But what of his daughter? Josephine seems to have ping-ponged from Ireland to England and back for decades. The 1881 census records her as a pupil teacher in Kent, by 1889 she’s in Dublin and marrying Joseph Crawford, a clerk from Rathmines. There is no sign of her in the Irish census of 1901, but in 1911, the UK census finds her aged 50, married for 21 years and without children, alone in lodgings in Twickenham. She lists her occupation as ‘lyrical writer and journalist (unattached).’ I presume that unattached means what we would now call freelance, rather a reference to her solitary status on census night. 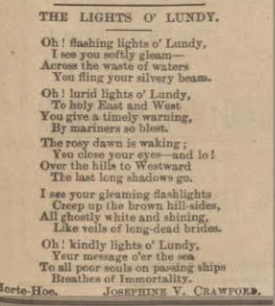 Not long before that, in December 1910, her poem The Lights O’ Lundy was published in the North Devon Journal. This poem isn’t up to much in my opinion, so I have decided to believe it’s just a piece of its time, and shouldn’t be subjected to too harsh a contemporary scrutiny. Lundy is a island in the Bristol Channel, twelve miles from the Devon coast. These days, it is permanent home to about twenty people. 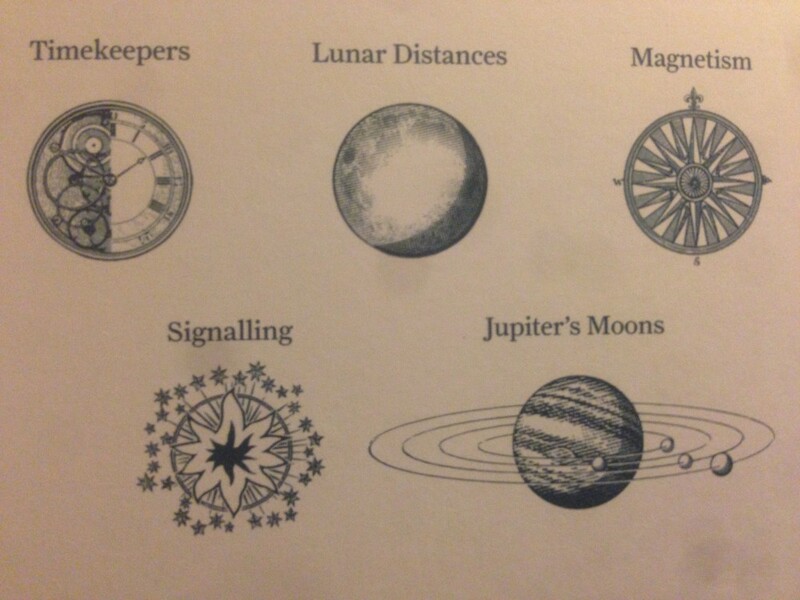 I came across it – so to speak – during my exploration of the Shipping Forecast as part of the Maeve Binchy Travel Award. 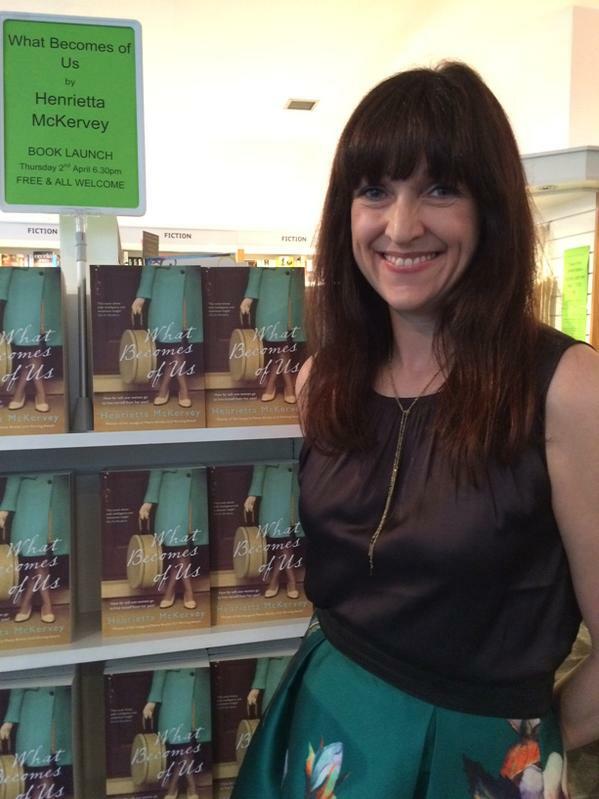 Her poem has a Macushla-lite quality to it: ‘Oh! flashing lights o’ Lundy/ I see you softly gleam-/ Across the waster of waters,/ You fling your silvery beam.’ It continues in that vein for some time, as you can see. In 1923 her second book, entitled Lyrics, Irish and Other was published. It was available to purchase for three shillings and sixpence directly from its author, now based in Gloucester. Does selling her book by mail order from her house imply things weren’t going too well? Possibly. As it would seem to have been in her life, in her writing she had only the one Macushla: a song which, for all its syrupy nostalgia, resonates with our sentimental hearts. A hundred years later I wonder would she have been dismissively referred to a one-hit wonder and consigned to bargain bins and the occasional just-before-Christmas live performance? Josephine Rowe died in Gloucester on April 1st 1945. The National Library of Ireland and Trinity College each have a few signed copies of her books and manuscripts in their collections. According to the UK Index of Wills and Administrations bequeathed her effects to a solicitor called Robert Tweedy Smith. She left £160, 14 shillings and sixpence; by far the smallest sum recorded in the dozen other deaths that keep her company on that particular page of the Index. This solicitor had also inherited money from a spinster in Worthing some years before. His name appears on passenger lists of ships that sailed to New York, New Zealand and Jamaica. But his life, and how he spent the small sum that was all Josephine Rowe owned when she died, is a story for another day. With many thanks to JJ for the tip-top research. The shorter version of this piece can be heard on Sunday Miscellany, RTE Radio 1, January 25th. Piece starts 38 minutes in. 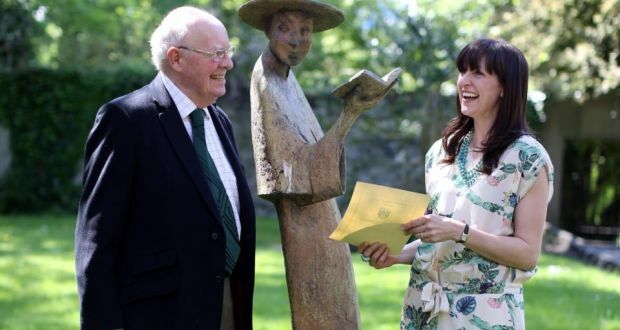 The General Synopsis At Midnight kicked off when Gordon Snell presented me with the inaugural Maeve Binchy Travel award in UCD’s Newman House on May 27th 2014. And look, here we are. I think the chap standing between us is a pickpocket. Since then, I visited the 31 Sea Areas of the Shipping Forecast by land, water and air and – in the case of those I explored through their folklore or history – by making things up. And now, six months later, it’s time to put the map away and listen to Sailing By, the music by Ronald Binge that accompanies the 0048 broadcast. (Have a listen, but be warned: it’s hypnotic.) If you’re new to this project, then the easiest thing is to back to the beginning and work your way forward. 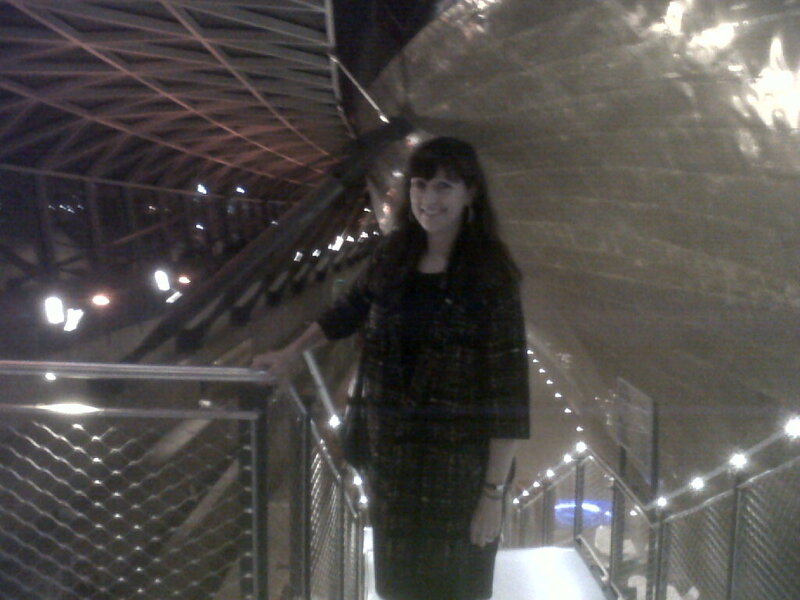 It’s a blog, not Serial – I know, right? as Sarah Koenig might say, like, right? – it doesn’t really matter if you read them in the wrong order, but it would make more sense to start here, Counting Down To Midnight. Among other highlights, I’ve curled up – literally – in a curved bunk high in the Fastnet Rock lighthouse and nodded off while watching its six-tonne lamp flash 50 kilometres into the dark night. In a heatwave I tootled around the Isles of Scilly, where in 1707 Admiral Sir Cloudsely Shovell lost his fleet of four ships to the rocks because he couldn’t understand what direction they were heading. 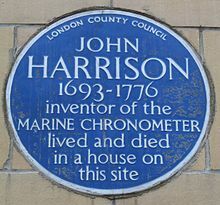 (Unlucky for him, yet a happy ending for the rest of us because the Board of Longitude was established as a result.) I’ve sat next to Craig Snell, a Maritime Forecaster in the UK Met Office, while he explained how he writes a Forecast. I’ve got lost – many times – and found the unexpected as a result… Yet where better to end the project than at a celebration of the ninetieth anniversary of the first official airing of the BBC Shipping Forecast? It was, I reckoned, probably as close to visiting all the sea areas in one go as it’s possible to get. (Apart from listening to the Shipping Forecast itself, that is.) Charlie Connolly who wrote the wonderful travel guide Attention All Shipping, had a one man show on board the Cutty Sark recently. As he said himself, ‘I’m one man and I’ll be making a show of myself, so it’s probably appropriate’. 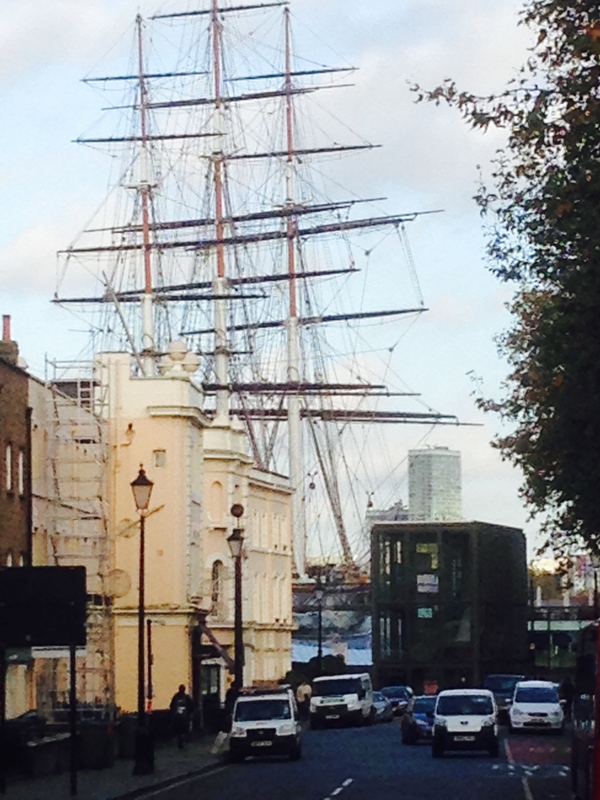 A state-of-the-art tea clipper from the days before steam ships, and now the nautical equivalent of a Grade I listed building, the Cutty Sark is in dry dock in Greenwich in south-east London. Greenwich has the atmosphere of an open-air maritime museum: a Grade I listed air hangs over the entire town, and the spidery masts of the Cutty Sark rise delicately above a genteel row of eye-wateringly pricey houses. It’s strange to see a boat butting up so close to buildings and cars in a city; it is a brighter, Georgian version of the Hitchcock film Marnie, in which a vast ship forms an abrupt and unsettling end to a red-bricked terrace. Time flies by here – literally, because outside the Royal Observatory nearby a long piece of brass set into the ground represents zero degrees longitude, so you can hop from east to west and back again in a trice. On a wet day, you don’t even have to change puddles. To an audience of Shipping Forecast fans in the Cutty Sark’s tiny theatre space, Charlie Connolly’s tour began and ended in Greenwich and more than delivered on his promise of, ‘history, travel, stories, iffy jokes, a bar and an interval and everything.’ (And there I am, in the aforementioned interval). Now, it’s not that I was expecting Captains Birds Eye, Pugwash and Hook to be in the front row or anything, but I did look around the audience and assume that like me, they were all armchair enthusiasts; people who love the Forecast for its poetry, but don’t depend on it for their livelihood or welfare. Since I began this project, many people have asked me who still uses the Shipping Forecast these days? Who needs it, now that all the information you could possibly want is available online? It was one of the first questions I had for Craig Snell when I pulled up a chair at his desk last July. The BBC too has been asking this question: last year it sent out a questionnaire to members of the Royal Yachting Association, the national governing body for boating, enquiring how they get their information about the weather when they’re at sea. If the answer had come back ‘duh, the internet,’ would that have meant the death knell for the Forecast and its nighttime companion music? Radio 4 controller Denis Nowlan said the survey showed – phew! – the Forecast on Radio 4 longwave continues to be a primary or secondary source of marine safety information. An informal survey the BBC Feedback programme held at the Cornish fishing port Newlyn revealed that, although younger fishermen are less likely to use it as their go-to source, it’s because the longwave broadcast isn’t at the mercy of digital signals and technology that it’s still relied upon. One thing that has stuck with me over the last six months, but particularly when I went to York during my visit to Sea Areas Humber and Dogger is: how do we ever really know where we’re going, despite all the preparation? The Shipping Forecast is a guide; a prediction not a certainty. As Sir Cloudsely Shovell and the crew of the Cita (among many, many others) could tell us, we are human and we can so easily be wrong. And yet, for those of us who tune in late at night because we love the language rather than need the information, it isn’t a prediction at all. Viking, Cromarty, German Bight, Fastnet, Rockall, Malin… these form a lullaby that conjures up dreamlike, inky seas. Viking invasions and U-Boats. Long-dead pirates and islands battered by storms. For us, the Shipping Forecast becomes a promise of hope, and of a new day breaking. Professor Margaret Kelleher, Dr Éilís Ní Dhuibhne, Niall McMonagle and James Ryan: the UCD Maeve Binchy Award committee. John Gore Grimes and Captain Harry McClenahan of The Commissioners of Irish Lights. Imelda Rogers and the UK Met Office, Exeter. The Binchy family, and to Gordon Snell particularly for his kindness, support and enthusiasm. Each of the 31 sea areas is explored in The General Synopsis at Midnight on this blog, and any interesting sources or references I came across are listed with each entry. For other bits and bobs, I was on the Marian Finucane radio show on May 31st, and again on September 20th to talk about my stay on Fastnet. And lastly… a piece I wrote for Sunday Miscellany on RTE Radio 1, broadcast on November 2nd 2014. The General Synopsis At Midnight is my exploration of the sea areas of the BBC R4 Shipping Forecast, thanks to the Maeve Binchy Travel Award. The earlier post ‘Counting Down To Midnight’ explains the project. A piece based on the project called ‘The Shipping Forecast’ was broadcast on Sunday Miscellany, RTE Radio 1, November 2nd. Longitude: The True Story of a Lone Genius Who Solved the Greatest Scientific Problem of His Time by Dava Sobel, published by Harper. 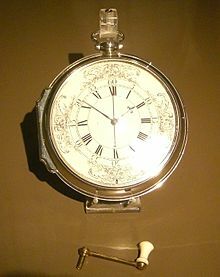 Finding Longitude: How Ships, Clocks and Stars helped solve the Longitude Problem by the National Maritime Museum and Richard Dunn, published by Collins. ‘The Quest for Longitude’ exhibition runs to January 4th 2015. The ocean floor is a surprisingly busy place. Teeming, you might say, with lost life. The UN reckons three million shipwrecks are scattered around the bottom of the world’s seas. Small yachts and fishing smacks, Viking longboats and German U-boats… the sea now owns the lot, regardless of what governments or salvage operators might think. 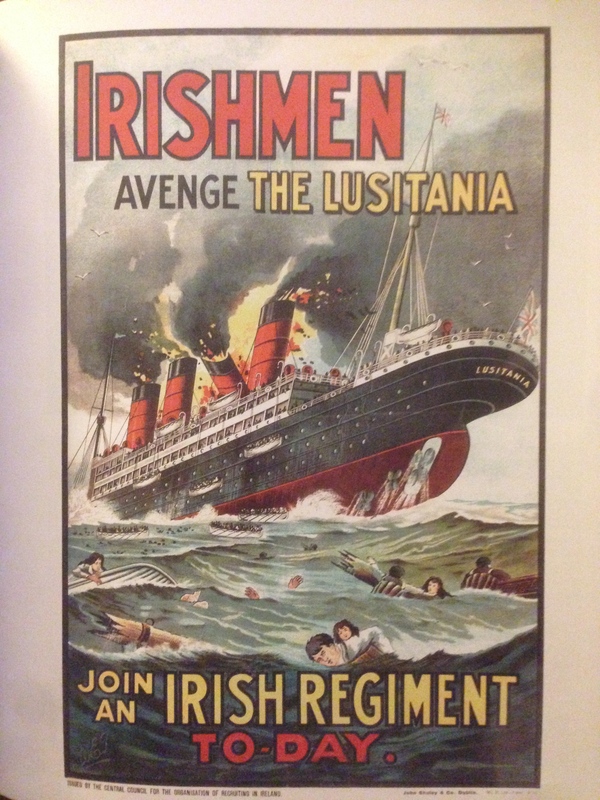 The Irish sea area claim to fame is that there are said to be more ocean liners and U-boats sunk off Malin (on the Inishownen peninsula, Malin Head is the most northerly point of Ireland) than anywhere else in the world; the majority of them casualties of the World Wars. When I went to the Isles of Scilly Museum – a place founded in 1963 because of a need to house all the finds deposited on the beach by winter seastorms – I was surprised by the contents of a display of bits and bobs washed up from the 1997 wreck of the Cita: tyres, Luck of the Irish keyrings, Dunnes Stores ‘St. 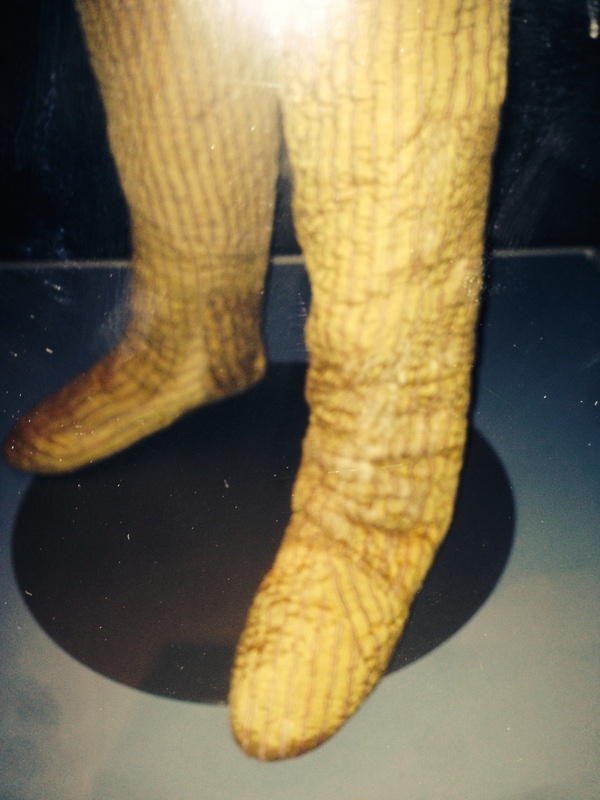 Bernard’ brand shoes. It must be years since Dunnes decided that the luck of the Irish had run out as far as St Bernie was concerned and put him out to pasture. I always thought a C12th French century monk best known for his persuasive way with words was an unusual choice for a shop’s own-brand merchandise. (There were a few obligatory miracles of course, such as ridding churches of flies, and curing a child’s withered arm, but Saint-wise he wasn’t one of the biggies as far as I can see. Maybe Dunnes were referring to the dog?) Anyway, back to shipwrecks. On that trip, my flight back to Exeter from St Mary was delayed and to kill some time I flicked through a copy of the Wreck of Colossus – The Find of a Lifetime, which I found lying around in the café in St. Mary’s tiny aerodrome (okay, technically it was for sale, alongside handcrafted doilies and flower-illustration postcards, but I handled it gently). Todd Stevens went to Scilly as a Cita salvage diver originally and ended up staying. Diving alone one day, he found a previously unknown additional site of the HMS Colossos, the 74-gun warship that sank in 1798. The ship was famously jam packed with a collection of Etruscan pottery belonging to Sir William Hamilton and – less famously – full of wounded soldiers on their way home from the Battle of the Nile. With his wife Carmen, Todd Stevens continued to explore this new area. Lying face upwards on the sand she found the most incredible thing: a twice life-size carved wooden figure that was once was part of the Colossos’ stern decoration (that’s it on the right). What struck me most about Todd Stevens’ book – and I didn’t get to read it all because a) I was out of sterling and b) my flight was called – was how honest he was about the thrill of the chase in salvage diving, and the frustration of having to leave a possible site behind and return to land. He makes it sound so addictive, the belief that just there, over there, under that rock, behind that reef, a moment of history lies trapped. A giant-sized, barnacle-encrusted ‘what if’. 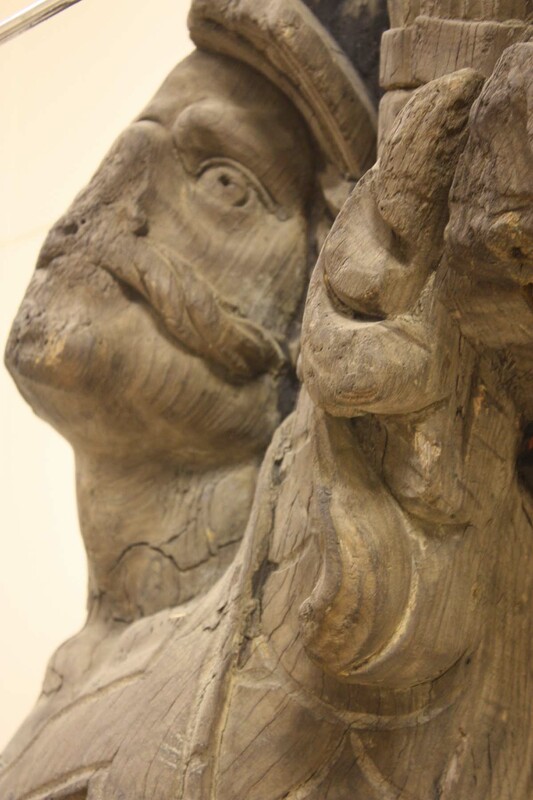 But when something wonderful, such as the carving from the Colossos, is found, what happens then? So often it is conditions of the sea itself that can preserve wrecks and their booty. Removing them from these crypts sends time spinning forward. Shipwreck sites are nearly always graves as well as treasure chests. Understandably, the focus on the human cost of a shipwreck gets more prominence the more recent the disaster. Whizz back in time and the people tend to get forgotten about. We will never know who were the crew of fifteen on the 3,000 year old paddle-powered boat discovered in sea area Plymouth in 2009. Its cargo of copper and tin ingots, a bronze sword and three gold torcs are seen as evidence that there was a much more sophisticated European communications and trading system in operation than was preciously believed. Engineer Jim Tyson who took part in the dives said: ‘You have something in your hands that had not seen the light of day in 3000 years. The last person to do so must have died in the shipwreck.’ A thoughtful comment to make, considering that the temptation must be to jump up and down in delight with joy at finding a haul dating back to 900BC. 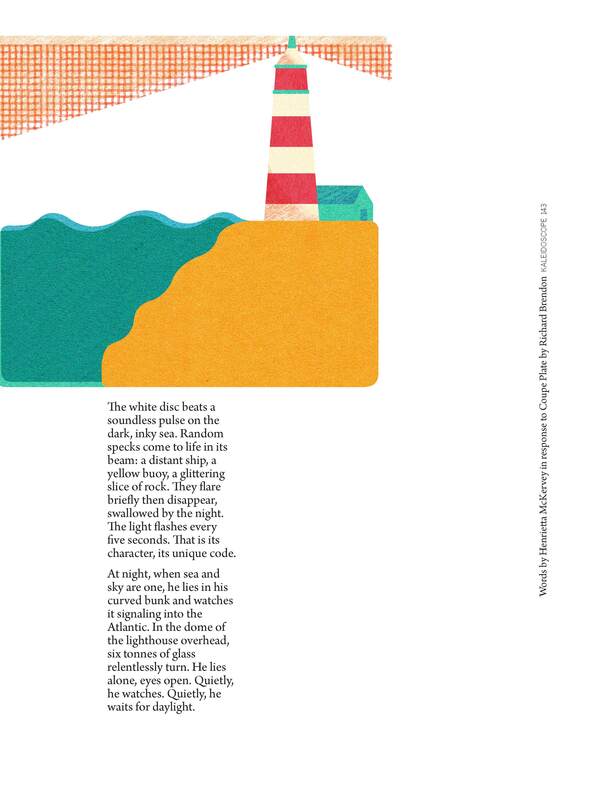 Underneath the invisible lines that create the jigsaw that is the Shipping Forecast, all the sea areas have their own shipwreck secrets and stories. One of the quirkier ones is that of the SS Politician, which was fictionalised as the SS Cabinet Minister in the in the novel Whisky Galore! by Compton MacKenzie. An 8,000-tonne cargo ship, the SS Politican left Liverpool on 3rd February 1941, heading for Jamaica and New Orleans. Two days later she ran aground of the northern coast of Eriskey in the Outer Hebrides during a gale. The crew all survived and spilled the beans about the ship’s cargo to the locals. A clue as to said cargo is in the title of the book. Yip, malt whisky. And galore. 264000 bottles of the stuff in fact. Thanks to wartime rationing the island’s own supplies of whisky were long gone, so who could blame them for deciding to help themselves before the seals got the lot? It wasn’t stealing, according to the enterprising fishermen who dressed as women so as not to be caught with telltale oil stains from the ship’s hold on their clothes. Nope, all was fine and dandy, according to the rules of salvage. Problem was, the local customs and excise officer thought otherwise: Charles McColl insisted the police take action, with the result that a number of islanders were convicted. Their sentences ranged from a £3 fine to six weeks imprisonment. The Politican proved resistant to official salvage attempts and – this being wartime, you can imagine how distracted the bods in charge were – it was decided to simply leave the stricken ship where she was. McColl estimated that 24,000 bottles had been stolen already and that simply abandoning the ship to its fate would prove too much temptation, so he got permission to explode her hull. Now that must have been some sight for the recently drunk, also recently hungover but now sadly newly sober, islanders to witness. 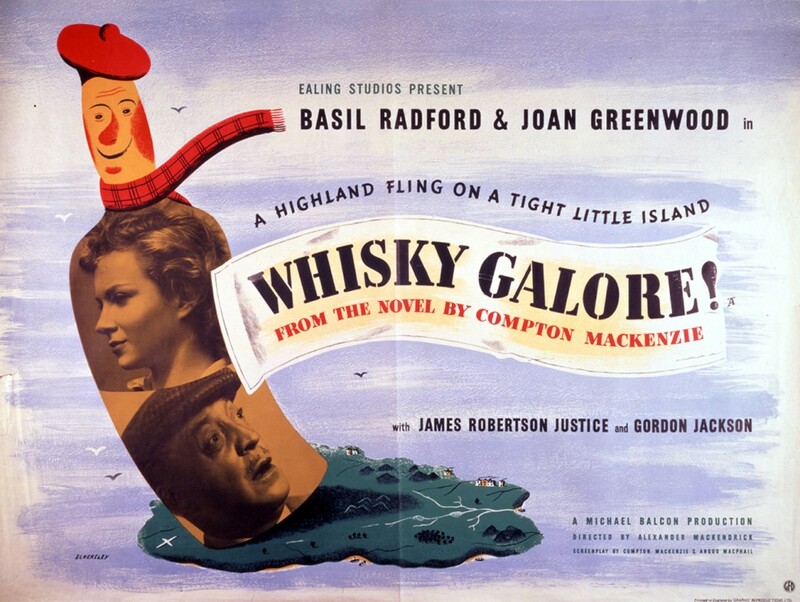 Whisky Galore was released as an Ealing comedy in 1949. I wonder if Charles McColl ever saw the movie? In the same month the SS Politican brought such brief, unintended happiness to the Hebrides, the SS Gairsoppa took a direct hit from a German U-boat’s torpedo. It sank in less than 20 minutes at 50 degrees N, 14 west, close to where sea areas Shannon and Sole meet. Only three of the crew managed to escape in a lifeboat. They reached Cornwall two weeks later, where two of them died trying to get ashore. 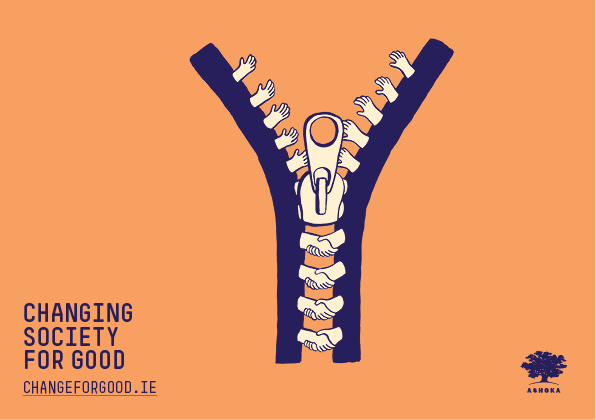 Last year, 2,792 silver ingots worth €27m were recovered from the site three miles (!) below the surface. Despite this massive haul, the SS Gairsoppa is relatively small beans compared with Ireland’s other shipwreck connections. Our biggest claim to shipwreck fame is generally taken to be the Belfast-born Titanic, which sank on its maiden voyage in 1912. However, fascinating as its story of hubris is, I’ll see your Titanic and raise you the Spanish Armada. The route followed by the Spanish Armada – both intentionally and not – by this fleet begins in Sea Areas Trafalgar and Biscay. In fact, it covers most of our Shipping Forecast map, not that even the word ‘forecast’ would have made any sense at the time, this being centuries before Sir Robert Fitzroy. In September 1588 Philip II decided he’d take a pop at invading England, and sent a fleet of 130 ships carrying almost 30,000 men with that express purpose. It didn’t go well, this tale of old against new: the heavy galleons of the Spanish were more like floating castles than ships, versus the newer Elizabethan ‘race ships’ that were low and fast, with much lighter armoury. The beautifully named Battle of Gravelines sent his fleet, well, fleeing. As the remaining ships tried to scarper, a combination of bad weather and poor navigation drove them towards the west coast of Ireland. Queen Elizabeth was concerned about a possible Irish/Spanish alliance against her and so her man on the ground Sir Richard Bingham (a tough cookie, as pirate queen Granuaile was soon to discover, and you can read about here) and the Lord Deputy William Fitzwilliam issued orders: “to make inquiry by all good means, both by oath and otherwise, to take all the hulls of ships, stores, treasures, etc. into your hands and to apprehend and execute all Spaniards found there of what quality so ever. Torture may be used in prosecuting this inquiry.” Ouch. 24 Spanish ships were wrecked off the Irish coastline, and it is estimated that 5,000 men died. In the centuries since, 10,000 pieces of treasure, from forks to cannonballs and rubies to coins, that once journeyed through what we know as Trafalgar and Biscay, have washed up on Irish shores. And finally: to Bailey. Not the sea area this time, but a person. Two in fact. Maurice and Maralyn Bailey decided to move to New Zealand and so in June 1972 they set sail from Southampton on their 31-foot yacht, the Auralyn. Everything was going fine and dandy until, off the coast of Guatemala, a whale got up close and personal, with the result that – well, you can imagine the result. They roped their dingy and life-raft together and grabbed what supplies they could. From the dingy they watched their yacht disappear. In a diary entry dated March 4 1973 (but written after the event), non-swimmer Maralyn Bailey wrote of “a violent impact. The ship shuddered and there was tearing, splintering wood. We looked at each other. I dashed outside. As I went into the cockpit, I saw, off the stern, a huge whale. Around him the deep blue water was stained red“. If they had been told on that morning that they would still be on that small raft 117 days later, I wonder would they have stayed put or jumped in after the Auralyn? When their supplies ran out they survived on rainwater and by catching turtles, birds and even small sharks with their bare hands and a safety pin. Seven times other boats were nearby and failed to spot them as they drifted in the Pacific becoming increasingly malnourished and weak. 1,500 miles later the Baileys were spotted by a Korean fishing boat, the Weolmi 306. They had each lost 40 pounds in weight and could barely stand. The water had rotted their clothes and their bodies were covered in sores. In their 1974 book 117 Days Adrift (published as Staying Alive! in the US; please note the jaunty exclamation mark.) they wrote that to keep their spirits up they played dominoes and cards made out of pages ripped from a notebook; and drew up elaborate plans for celebratory feasts. A year later the Baileys were back at sea in the Auralyn II. 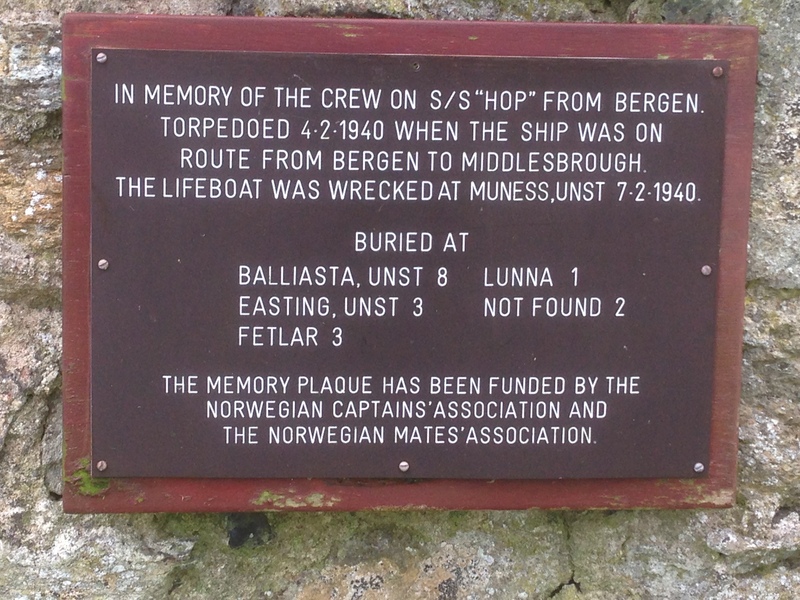 I came across this plaque dedicated to the crew of the SS Hop in a graveyard on Unst in the Shetlands in sea area Fair Isle. You can read about that trip here. The General Synopsis At Midnight is my exploration of the sea areas of the BBC R4 Shipping Forecast, thanks to the Maeve Binchy Travel Award. The earlier post ‘Counting Down To Midnight’ explains the project. A piece based on the project called ‘The Shipping Forecast’ broadcast on Sunday Miscellany, RTE Radio 1, November 2nd. Warships, U-Boats and Liners: A guide to shipwrecks mapped in Irish waters by Charise McKeon, Karl Brady, James Lyttleton and Ian Lawler. 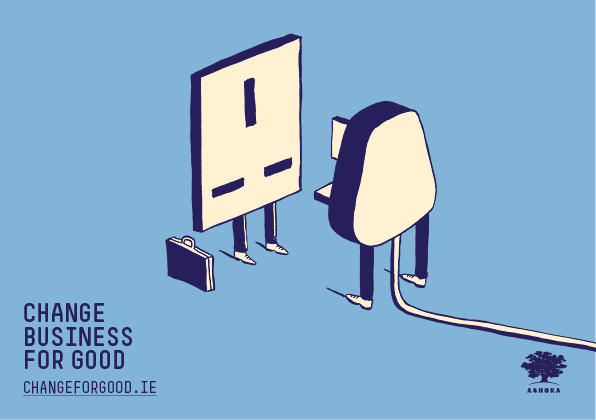 Published by The Stationery Office, Dublin (2012). 117 Days Adrift by Maurice and Maralyn Bailey published by A&C Black. And thank’ee Wikipedia for the Spanish Armada map.